So I’ve decided to start creating a game (about time). This isn’t the first game I’ve made, but it will be the first time I’ll try to document my design process through this blog. What kind of game do you want to make? What will be your major design concepts/mechanics? What are you doing for art? These five questions I think are the beginning of a good place to start for a project. Now you may not have the answers to them from the get go, and heck they will probably change throughout the projects life cyle, but giving them some thought is a must. Backwater Gospel is a disturbing tale of a forsaken town. A familiar story that’s been so very well done. 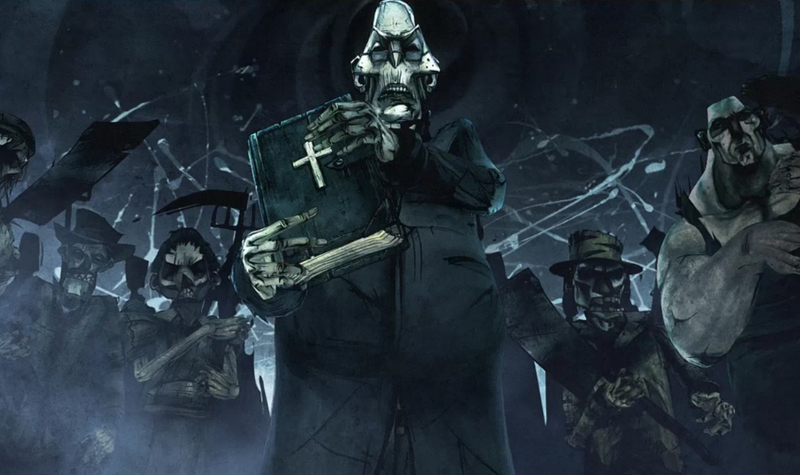 It’s sinister art style and dark soundtrack builds a foreboding atmosphere from the start. Really great work Animation Workshop; I look forward to more. Using its last remaining power, the planet summoned four elemental giants in an attempt to restore life to it’s dead surface. These giants were charged with cultivating a suitable environment for life. Welcome to Reus, a 2D god game by Abbey Games where under your control are these four giants; Forest, Rock, Ocean and Swamp. Each giant has the ability to create a unique biome by terra-forming the planet. They can then place different types of resources within these biomes, and grant aspects which can augment their own, or other giants resources. Multiple resources work together to create a ‘symbiosis’ that offers additional benefits to the surrounding area. These resources then attract nomads who settle in the cradles of life that you create, building villages that soon require more resources to grow. The task that forms the lions share of the games complexity is a balancing act, between finding the combinations of resources that provide what a village needs, and keeping the villages ‘greed’ in check. Simply put, greed is a mechanic where by bestowing a village with too much too quickly, they become greedy and destructive, to the point where it can result in a village destroying the very utopia you forged and even turning on you. If necessary you may have to destroy the offending village, its your choice.